As we all know about Angry Birds game, one of the most popular game these days, it is available in most of the devices like iPhone, iPad, Android, Nokia, etc., last year Rovio also bought an HTML5 version of it for Google Chrome (but you can also play it on any HTML5 supported web browser also) and added into Google’s new social networking website. Many people also tried to copy the concept but those didn’t work out for long, known as Angry Anna by Geek Mentor Studios and Angry Brides by Shaadi.com. 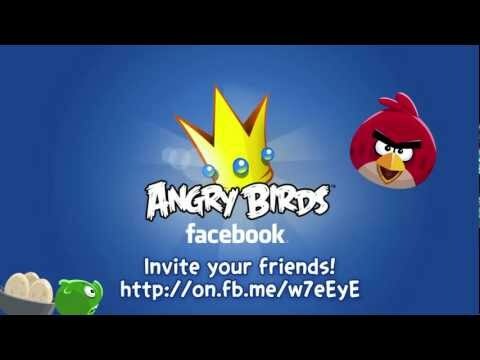 Now Rovio officially made land on Facebook with one more version of their all-time most popular Angry Birds game. If you have played FarmVille or any other such game on Facebook then you might know that we can see and compare our scores with our friends score and levels, same way you can do in Facebook version of Angry Birds. And if they are not playing Angry Birds game they you can invite them to play. With that their some more features are there in this Angry Birds game on Facebook like you get some kinds extra powers to hit pigs, you can throw a fish, then a shark will come and one shot all pigs will be gone, you can make your birds power double, shake the pigs, etc. all these extra powers are limited to you need to be careful while using them. If you end up using all and when you will really need them you won’t left with any power to use.